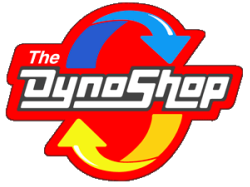 The exhaust system, located on the underside of your vehicle, is responsible for collecting and directing the dangerous gases that are the byproduct of the combustion process away from the vehicle. It reduces the amount of pollutants released into the environment, and minimizes engine exhaust noise and force. The gasses created during combustion leave the engine through the exhaust manifold. They are modified chemically in the catalytic converter, converting some of the more harmful gasses, like carbon monoxide, hydrocarbons, and nitrogen oxide, into less harmful ones, like oxygen, nitrogen, water vapor, and carbon dioxide. The muffler eliminates most of the engine noise, and the tailpipe directs the exhaust away from the vehicle. Failure of any of the exhaust system components can interfere with your cars performance, and can be dangerous to your health if exhaust fumes leak into the passenger compartment. 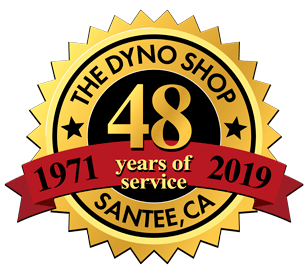 The Dyno Shop has have been helping motorists in San Diego repair their exhaust systems for decades. Give us at call to find out more information or schedule an appointment.